Samantha started learning piano at an early age and has completed grade 8 piano for leisure in 2015. She has been in various bands and performances and has a real passion for education and music. 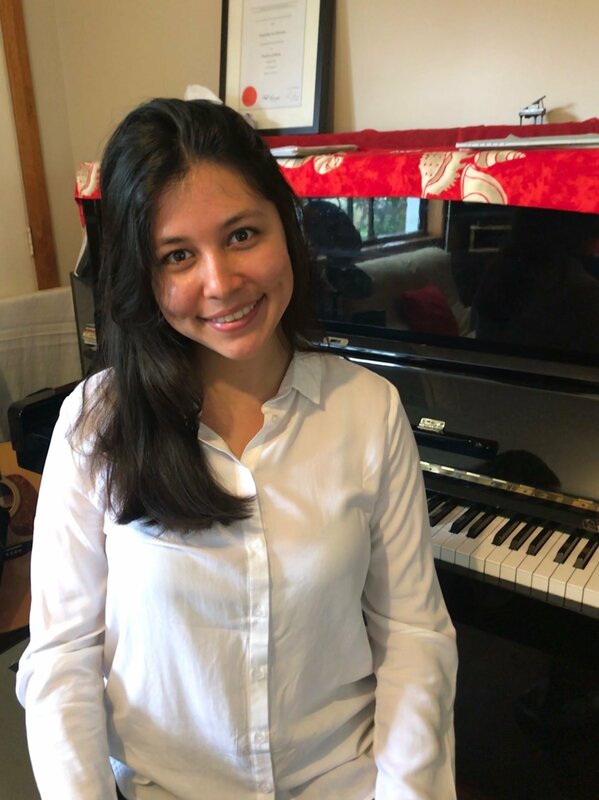 Samantha is a very experienced and highly qualified piano teacher who resides in Narraweena but also travels to students’ homes in Beacon Hill, Cromer and Allambie, Narraweena, Dee Why, Wheeler Heights, Brookvale and Freshwater. Samantha is currently preparing for one of the highest level of qualification offered by the AMEB – The Associate in Music, Australia (AMUSA). Samantha is also finishing a Bachelor of Teaching (Secondary) which has provided her eloquent tertiary training in the art of Pedagogy, behavioural management, Special Needs and learning style theory. Whether your child is an absolute beginner needing patience and skill, or your child is going for an AMEB examination, Samantha is passionate about adapting her skills to your cause. Samantha has also recently completed European Piano Academy’s piano teaching course specialising on applying European and Russian piano teaching methods while working with students. Samantha is a very experienced and highly qualified piano teacher who resides and teaches in her own private studio in Narraweena but also travels to offer piano lessons at students’ homes in the following suburbs of Sydney Northern Beaches: Beacon Hill, Cromer and Allambie, Narraweena, Dee Why, Wheeler Heights, Brookvale and Freshwater.